Siobhan Owen won the 2010 Best Instrumentalist with 39.9% of the vote. 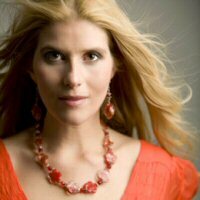 Siobhan Owen is a harpist and soprano from Wales and now resides in Australia. 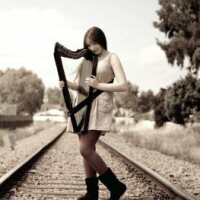 The harp is fundamental to seventeen year old Owen, using it as a basis for her arrangements of well loved celtic and classical standards. Her popularity is probably caused by her authenticity, her sense of identity, and taking on such a beautiful, but underappreciated instrument. Owen has just released her latest album 'Lilium', which you can buy on iTunes or a physical copy through her website. - To be nominated for the best instrumentalist award, the artist must primarily play one chosen instrument. They can, however, sing as well play other instruments, but their craft and music must be centred around their chosen instrument. The nominee needs to have been active this year, either through a release or promise of an album in 2010 (takes priority) or performing. Fiona Pears received 28.2% of the vote. Fiona Pears has been recording her own albums and releasing them independently. Pears composes and arranges much of her own music. She is currently touring New Zealand. Diana Yukawa received 15.4% of the vote. 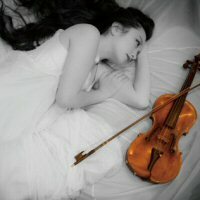 Violinist Diana Yukawa has been in Japan as a classical artist; releasing two albums. She spent the summer of 2010 performing concerts in the UK, and supporting Katherine Jenkins. David Garrett received 19.5% of the vote. David Garrett is a violinist who has been active since childhood but did not release any albums until 2007. He has toured this year and released his newest album Rock Symphonies.